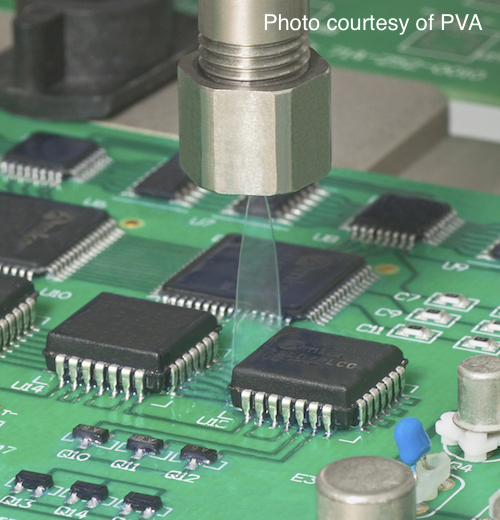 Conformal coatings can be applied to printed circuit boards in the production environment in many alternative ways. Click on each to review each conformal coating application technique. This relates to the holistic approach to conformal coating processing which states that you should consider the material, the application process and the circuit board together and not as three separate entities. However, when considering the application methods it is possible to make some assumptions which help in selection. Each of the conformal coating processes are reviewed separately by clicking on the links.